This year’s edition will be an incredible evening which will commence with cocktails and red carpet, after which guests will be seated for a gala dinner and viewing of the Oscar telecast. A live auction conducted by Alexander Gilkes of Paddle8 will commence, following the telecast and will lead into a full performance by The Killers. The event is held at West Hollywood Park. 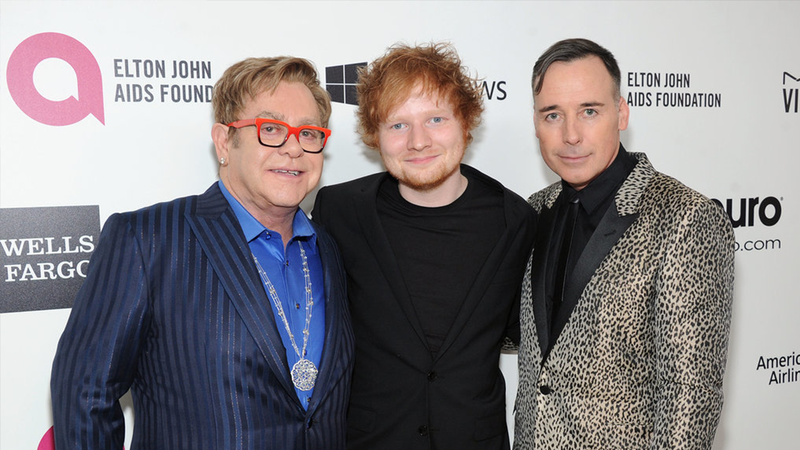 Sir Elton and his husband, David Furnish, are toasting a major milestone this year as their EJAF event celebrates 28 years and more than $68.2 million raised for the cause since the event’s inception. Previously Chef Gordon Ramsay handled the menu, this year turntable duties will again fall to DJ Johnny Dynell. 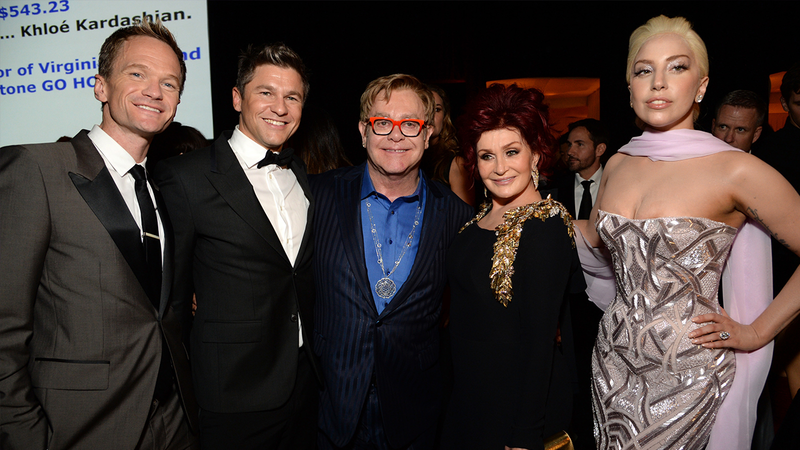 Honorary Chairs Sir Elton John and David Furnish will be joined at this year’s event by co-chairs Tim and Jane Allen, Beck, Jamie Bell, Joseph W. Blount, Chris Colfer, Miley Cyrus, Ellen DeGeneres and Portia de Rossi, Zooey Deschanel, Michael Douglas, Taron Egerton, Jay Ellis, Boy George, Karen Gillan, Greg Gorman, Sir Lucian and Lady Caroline Grainge, Tiffany Haddish, Neil Patrick Harris and David Burtka, Debbie Harry, Gillian Hearst, Patricia Hearst, Tracey Jacobs, Allison Janney, Caitlyn Jenner, Quincy Jones, Billie Jean King and Ilana Kloss, Heidi Klum, Robert K. Kraft, Diana Krall and Elvis Costello, Diane Lane, Sandra Lee, Spike and Tonya Lee, Judith Light, Eugenio Lopez, Siran Manoukian, Chris Martin, Rob and Sheryl Lowe, Baz Luhrmann and Catherine Martin, Eric and Janet McCormack, Lea Michele, Matthew Morrison, Mike and Kelly Myers, Col Needham, Sharon Osbourne, Michael Patrick, Katy Perry, Tyler Perry, Busy Philipps, Andrew Rannells, Zoe Saldana, Jane Seymour, Sarah Silverman, Steve Sims, Britney Spears, Sharon Stone, Meghan Trainor, Steven Tyler, Denzel and Pauletta Washington, John David Washington and Jeffrey Wright. Prize Fulfilment: telephone contact, correspondence, securing of liability releases and scheduling of travel dates and destination, professional travel coordination including a dedicated travel specialist, hotel, activities, day by day itinerary and official travel document case including all necessary vouchers for travel and activities. Click here if you wish to download The Official Information Leaflet.